Many people choose veneers over crowns because we don’t remove as much tooth material and the procedure is generally less uncomfortable. Crosspoint Family Dental offers full comprehensive cosmetic and preventative dental services including veneers in our Chelmsford, MA area office. Porcelain veneers can mask undesirable defects, such as teeth stained by tetracycline, by an injury or as a result of a root-canal procedure, and are ideal for masking discolored fillings in front teeth. If you are looking to improve your smile because of this or because you may have space between your front teeth or teeth that are chipped or worn, contact us today. One of our experienced cosmetic dentists will develop the right plan, tailored to you. Learn more about veneers and how we can improve your smile. 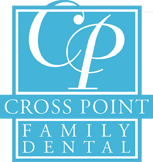 Crosspoint Family Dental is located on 850 Chelmsford Street in Lowell, MA and we can be reached at (978) 459-6467.